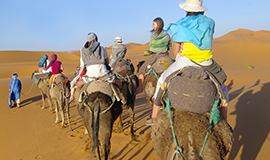 Adventure Holidays a subsidiary of Travco Group provides a variety of exclusive adventure trips across Egypt, from the wild mysterious deserts to the beautiful Red Sea. 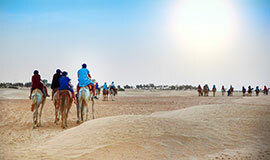 With extensive experience and knowledge of Egypt's environment, logistics and skill, we create unique, unforgettable nature-based excursions for our clients. Not only can we show you the popular wonders of ancient Egypt as part of an incredible adventure, but focus your attention on the beauty of this land and its cultures across the Western Desert, Eastern Desert, Sinai and the Red Sea. 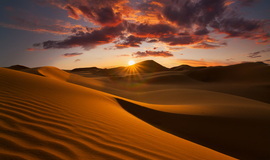 No matter how much science may reveal, "the Desert" will remain in most peoples' minds a place of accumulated sands, unsolved mysteries and eternal legends, all camouflaged beneath a haze of mirage. 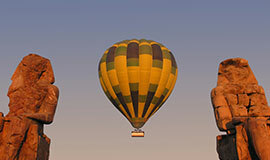 During the Safari, you can piece toghether some of that mirage and portray the unexpected appearance. 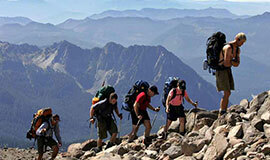 What Makes Adventure Holidays Stand out? By providing a wide range of safaris, expeditions and excursions for our clients, based on unique and competitive self sufficient tools, we are able to design custom-tailored itineraries to suit everyone’s needs. We believe in providing personal and attentive services to guarantee our clients’ full satisfaction and comfort, without subjecting our clients to extra costs hidden in the form of local payments. The prices we offer are all-inclusive unless otherwise noted. Our expeditions, leaders, and organizers are fully trained, and have years of experience in Egypt’s deserts. To maintain the highest quality of adventure travel, and to ensure a sustainable future for the people of Egypt and its natural resources, Adventure Holidays is dedicated to environmentally responsible travel. 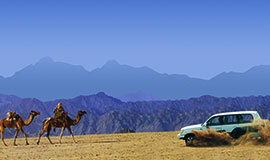 Trekking the desert and climbing the high mountain region provides visitors with details that are frequently missed. While escorted by local bedouins, we are introduced to areas only accessible by foot, discovering hidden valleys, wild fruit trees, waterfalls, and spectacular sunrises from mountain peaks. For those interested in discovering the desert like the first explorers once did, our camel safaris will fulfill your interests. 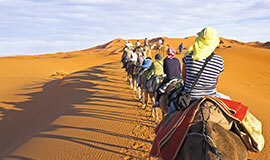 You will travel on camelback amongst caravans escorted by local bedouins. Throughout the journey, we learn about the desert ecosystem, how to read tracks, look for water, and secrets of making delicious bedouin tea. 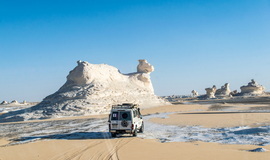 With our fleet of 4-Wheel Drive vehicles and bikes, Adventure Holidays provides you with the opportunity to experience remote areas of Egypt that are virtually inaccessible by any other means. Our vehicles come fully equipped with all the necessities that make long journeys comfortable and safe. Adventure Holidays is the main organizer of the Rally of the Pharoans, this is why it is one of the very few travel companies that provide self-drive adventure safaris. 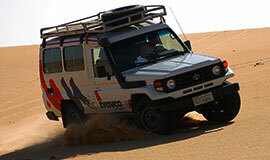 Participants enjoy driving their own Land Cruisers, while being accompanied by leading and support vehicles. 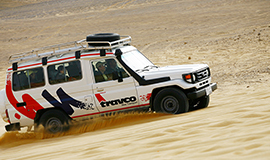 Imagine the experience of challenging Saharan sand dunes and other wild terrain while behind the wheel during an exciting off-road adventure in the Sahara. Participants take pleasure in exploring the mysterious desert as well as diving in the breathtaking underwater world of the Red Sea. 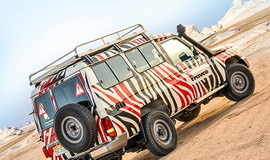 In addition to our desert 4X4 cruises, Adventure Holidays provides a custom-built Toyota pick-up that houses a built-in diving center, including a compressor, generator, diving gear and all necessary safety equipment. For those interested in more than shore diving, our safaris on our luxurious live-abroad yachts will fulfill your needs. 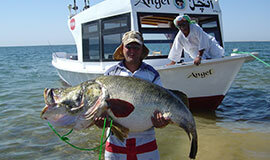 Adventure Holidays conducts several snorkeling and diving trips in the Red Sea. We will take you to incredible diving sites, some of which are so remote that they remain virtually untouched. You will be accompanied by one of our medically trained diving instructors who will safely guide you on your diving/snorkeling safari. Although all our safaris give participants information on the places they visit and the customs of people living in those areas, this special program provides more. 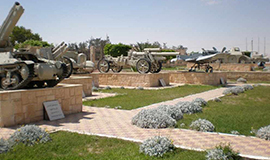 As part of this adventure, we take you, accompanied by professional experts, to archeological sites, educational centers and museums. Our company is equipped to facilitate and assist professional photo shooters, movie shooting and much more…! It has been said that one cannot appreciate what one has not yet encountered. 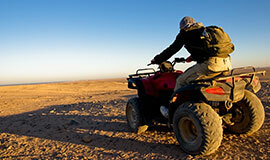 This exclusive safari allows adventure travelers to visit locations explored by very few lucky people. We follow the routes of early explorers such as Count Laszlo Almasy, better known as the “English Patient”, and take you through unearthly territories, such as El Gilf El Kebir, as we explore the most remote locations in Egypt. To visit the famous wonders of Egypt along the Nile Valley in a unique, adventurous way, try sailing the Nile River with us in a traditional felucca. While visiting the incredible temples and monuments of ancient Egypt, this relaxing, slower paced journey allows you to truly appreciate the full beauty of the green boarders of the Nile and its locals. 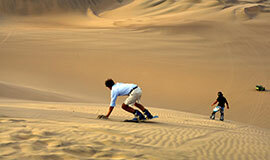 This exquisite safari, gives the participant an overall view of the visited areas. We travel in no man’s land, in areas inaccessible by any other means except by air. If you are looking for solitude, silence and space, Lake Nasser is the place. The extensiveness and silence are the two things that strike you most strongly. 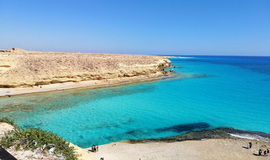 This is one of Egypt’s remote and wild places. The areas where we fish are extremely remote and wild as well. 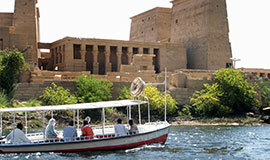 The Lake Nasser Safari is a must for those who enjoy “getting away from it all”. You will be completely cut off from all forms of civilization. This unforgettable experience of gliding over the soft sand dunes of the great sand sea, gives a thrill of an adrenalin rush. This adventure is offered during most of our adventures.